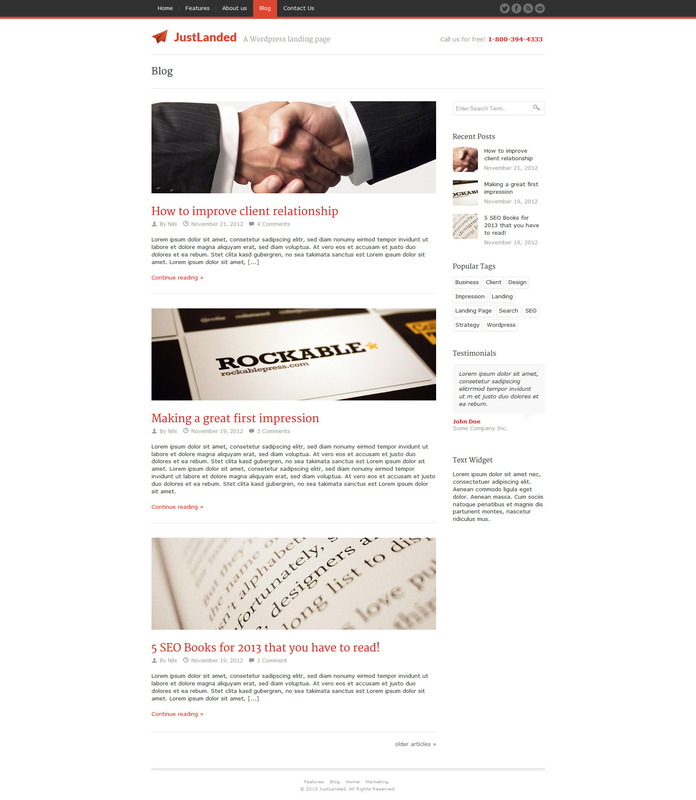 JustLanded was first published in 2012 as our very first WordPress theme. The theme was deprecated in the fall of 2018, is no longer in development and we will no longer add new features. Active support has been discontinued. There is no access to customer support with this purchase. Existing customers, however, still enjoy 6 months of support included with their purchase, support extensions are no longer being offered, though. JustLanded the powerful responsive WordPress landing page theme that simply works. 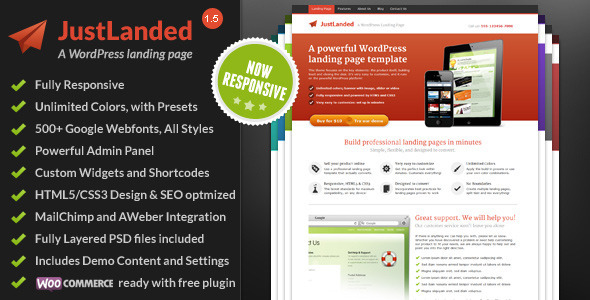 JustLanded for WordPress is the ultimate responsive WordPress landing page theme. We took our successful JustLanded landing page template, turned everything complicated into something tangible and simple and added some WordPress magic. With JustLanded for WordPress your options for building landing pages with WordPress are endless, and you get a whole matching WordPress theme! 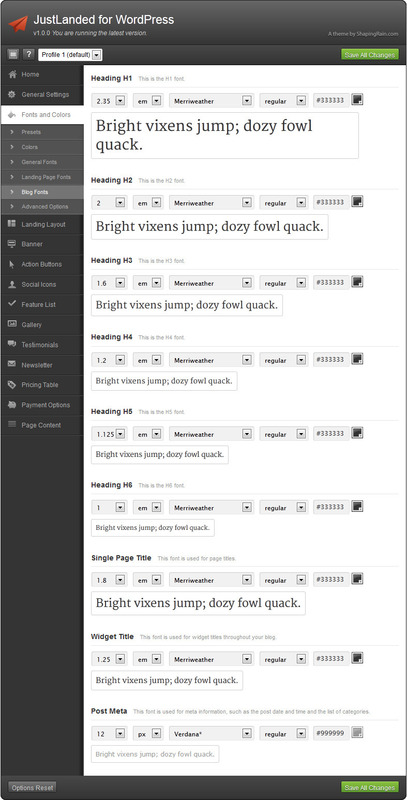 Simply create and let JustLanded for WordPress do the rest. Each landing page can have its own design, layout, menus etc. Modal Windows – Connect the banner’s call to action buttons to modal windows to display additional information or CF7 forms without a need for your visitors to leave the page. Custom Content – use whatever content you need to convince your customers; use HTML and shortcodes, integrate anything and design your perfect product landing page! And if that’s not enough you can freely define the banner’s contents, using custom HTML and shortcodes, even layout blocks. You can also turn a WordPress page into a banner for your landing page! With support for the brilliant (and absolutely free) Contact Form 7 plug-in we make adding forms to the landing page banner a breeze. Whether you need a contact form, a sign-up form or an appointment form (or any other form really), JustLanded for WordPress has you covered. 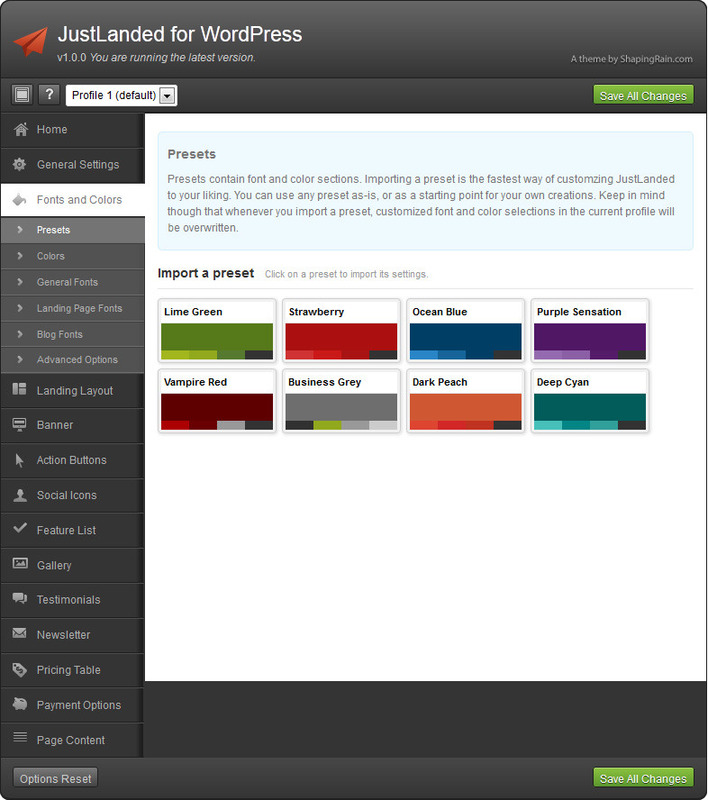 Fully Customizable — Easily Change the Look and Feel! Use one of 30 presets or design your own, with color gradients, backgrounds and textures to modify the WordPress landing page templates or blog templates. Fully Responsive WordPress Theme, looks great on your smartphone or tablet! JustLanded is not just a simple WordPress landing page theme—it’s a complete and fully responsive WordPress theme with multiple widgetized areas and full blog support, including nested comments. JustLanded for WordPress is compatible with WordPress up to 4.9. 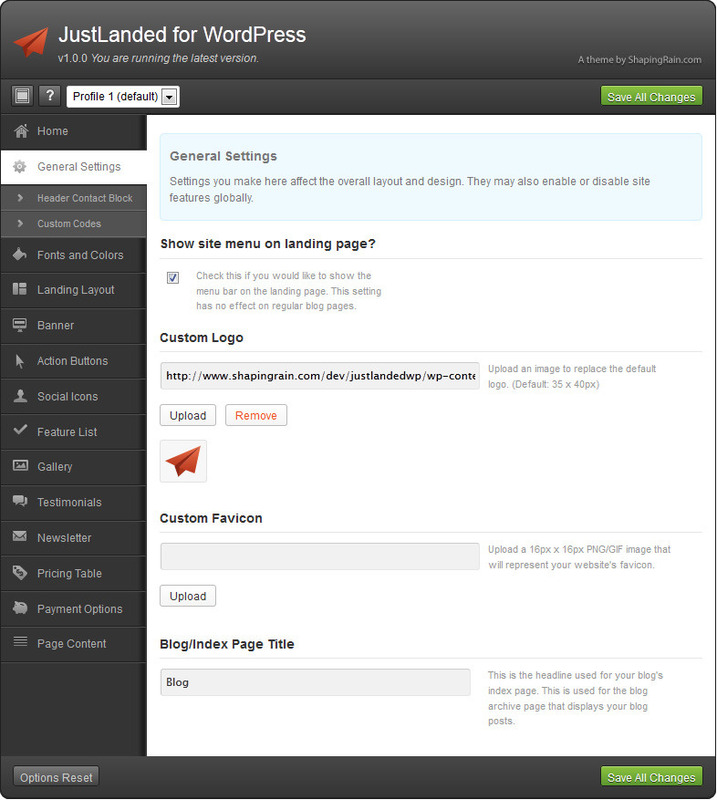 By popular demand: a free plug-in for JustLanded for WordPress to integrate JustLanded with WooCommerce. Turn your website into a digital marketplace, sell digital downloads or physical products – with WooCommerce, one of the most popular shopping cart plug-ins with payment gateway integration available for the WordPress platform. Customers get access to free updates as soon as they are released. No costly update or support subscriptions—you pay only once and get free updates for the support lifetime of the product, even if the price increases. Learn more about technical support on the themeforest marketplace in the item support policy. Not completely satisfied? Feature missing? Anything you need help with? 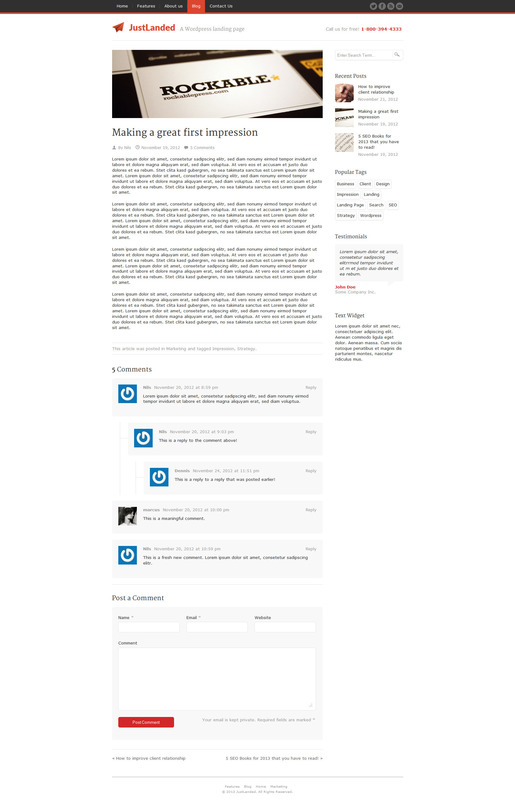 If, for whatever reason, you are not completely satisfied with JustLanded for WordPress, and feel that it does not deserve a 5 star rating from you, please contact support@shapingrain.com and we will make every attempt to change that. + Added options for testimonial slider transitions, effects etc.